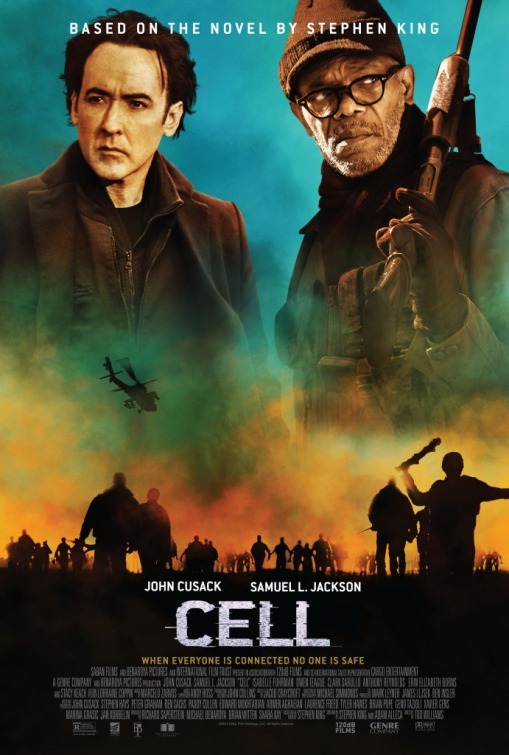 Saban Films has unveiled the first trailer and poster for the Tod Williams-directed sci-fi thriller film adaptation of the Stephen King novel “Cell” at Benaroya Pictures and The Genre Company. King himself adapted the screenplay along with Adam Alleca. John Cusack, Samuel L. Jackson and Isabelle Fuhrman star in the film about a mysterious cell phone signal broadcast across the network which turns the population into angry zombies. A struggling graphic artist (Cusack) teams with fellow survivors to trek across a decimated New England to seek answers and reunite with his son. The film gets an Ultra VOD release on June 10th before a day-and-date theatrical and VOD release on July 8th.